Is this the book you say somewhere (don't remember where exactly) that you find a book to your boyfriend's house and like this started origami? This is so-to-say the start of my origami "career". Could you tell us the story ? Could you tell us the story ? And your boyfriend does he still fold as you do? I went to a summer camp when I was about 10, and one of the sessions was on origami. So strictly speaking I started origami back then*. But after that one day, I didn't continue with origami. I remember how much I enjoyed it back then, though, so for Christmas 2005 I gave my little sisters (7 and 10 at that time) a book on origami. As to be expected they immediately wanted to sit down and fold something together with me. I was surprised to see that I still enjoyed it. My boyfriend and me then visited his family, and we found an old origami book - this one - in his old room. Some old paper was also in the book. We took book and paper along on our 7-hour train ride back home, and folded all the way through. And since then I've folded happily ever after (although in the beginning I did take another 9 months break). * Actually, I folded paper hats and boats even before that. 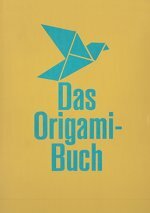 Most German children will know how to fold a boat, a hat, or something we call "Himmel und Hölle". I never encountered the word "origami" up until that summer camp when I was 10, though. sara is your boy friend jeremy schafer? HAHAHAHAHAHAH! i ask this because one of jeremys main things he does is juggling! :) just kiddin i know hes not! he doesn't live in germany! or maybe its a long distance relationship...0_0... just kiddin again!